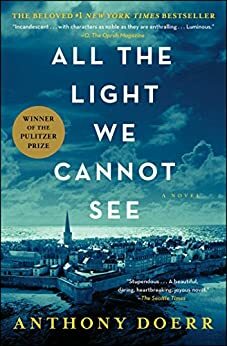 World War II novels are all the literary rage right now, and even bleeding into popular films like Dunkirk and the Darkest Hour, so dive into some great, award-winning literary fiction about World War II that will take you from the past through the present and leave you in awe and in agony. Marie-Laure lives with her father in Paris near the Museum of Natural History, where he works as the master of its thousands of locks. When she is six, Marie-Laure goes blind and her father builds a perfect miniature of their neighborhood so she can memorize it by touch and navigate her way home. When she is twelve, the Nazis occupy Paris and father and daughter flee to the walled citadel of Saint-Malo, where Marie-Laure’s reclusive great-uncle lives in a tall house by the sea. With them they carry what might be the museum’s most valuable and dangerous jewel. In a mining town in Germany, the orphan Werner grows up with his younger sister, enchanted by a crude radio they find. Werner becomes an expert at building and fixing these crucial new instruments, a talent that wins him a place at a brutal academy for Hitler Youth, then a special assignment to track the resistance. 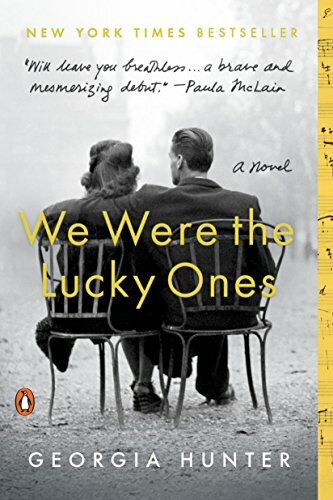 More and more aware of the human cost of his intelligence, Werner travels through the heart of the war and, finally, into Saint-Malo, where his story and Marie-Laure’s converge. With courage, grace, and powerful insight, bestselling author Kristin Hannah captures the epic panorama of World War II and illuminates an intimate part of history seldom seen: the women’s war. 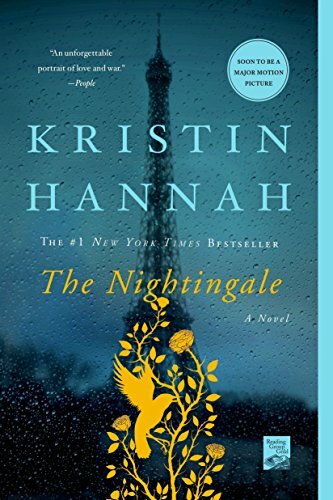 The Nightingale tells the stories of two sisters, separated by years and experience, by ideals, passion and circumstance, each embarking on her own dangerous path toward survival, love, and freedom in German-occupied, war-torn France—a heartbreakingly beautiful novel that celebrates the resilience of the human spirit and the durability of women. It is a novel for everyone, a novel for a lifetime. Mourning the passing of her mother, Sage Singer decides to attend a grief support group. She doesn’t expect to start an unlikely friendship with an elderly man also attending. Josef Weber is a beloved, retired teacher and Little League coach. Together they attempt to heal. But one day he asks Sage for a favor: to kill him. Shocked, Sage refuses but then he confesses his darkest and long-buried secret, one that irrevocably changes Sage’s worldview. She suddenly finds herself facing questions she never expected, such as what do you do when evil lives next door? Can someone who’s committed a truly heinous act ever atone for it with subsequent good behavior? Should you offer forgiveness to someone if you aren’t the party who was wronged? And most of all, if Sage even considers his request, is it murder or justice? Paris, July 1942: Sarah, a ten year-old girl, is brutally arrested with her family by the French police in the Vel’ d’Hiv’ roundup, but not before she locks her younger brother in a cupboard in the family’s apartment, thinking that she will be back within a few hours. Paris, May 2002: On Vel’ d’Hiv’s 60th anniversary, journalist Julia Jarmond is asked to write an article about this black day in France’s past. Through her contemporary investigation, she stumbles onto a trail of long-hidden family secrets that connect her to Sarah. Julia finds herself compelled to retrace the girl’s ordeal, from that terrible term in the Vel d’Hiv’, to the camps, and beyond. 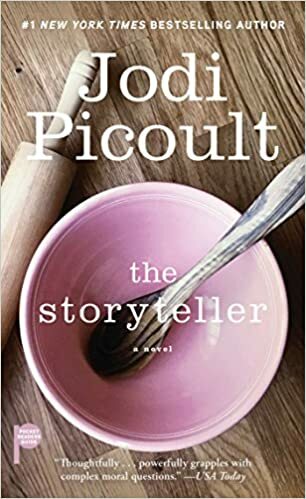 As she probes into Sarah’s past, she begins to question her own place in France, and to reevaluate her marriage and her life. It is the spring of 1939 and three generations of the Kurc family are doing their best to live normal lives, even as the shadow of war grows closer. The talk around the family Seder table is of new babies and budding romance, not of the increasing hardships threatening Jews in their hometown of Radom, Poland. But soon the horrors overtaking Europe will become inescapable and the Kurcs will be flung to the far corners of the world, each desperately trying to navigate his or her own path to safety. As one sibling is forced into exile, another attempts to flee the continent, while others struggle to escape certain death, either by working grueling hours on empty stomachs in the factories of the ghetto or by hiding as gentiles in plain sight. Driven by an unwavering will to survive and by the fear that they may never see one another again, the Kurcs must rely on hope, ingenuity, and inner strength to persevere.